Of course, he's making a living off us wine geeks. But still, we're indebted to him for bringing us grower Champagnes, vibrant Austrian whites, suave Loire reds, as well as assorted classics from all over the place (Tondonia, Allemende, Redde). And just to complete the picture, he's also teamed up with Bourgogne Crown. Most of the goods are at reasonable prices, in local terms. Now he's testing the Piedmont waters, with two producers that have eluded the hype of American critics to the extent that the prices are still fairly decent. Of the two, Silvio Grasso comes off as a very good producer but it's Giacomo Fenocchio that is the great one. 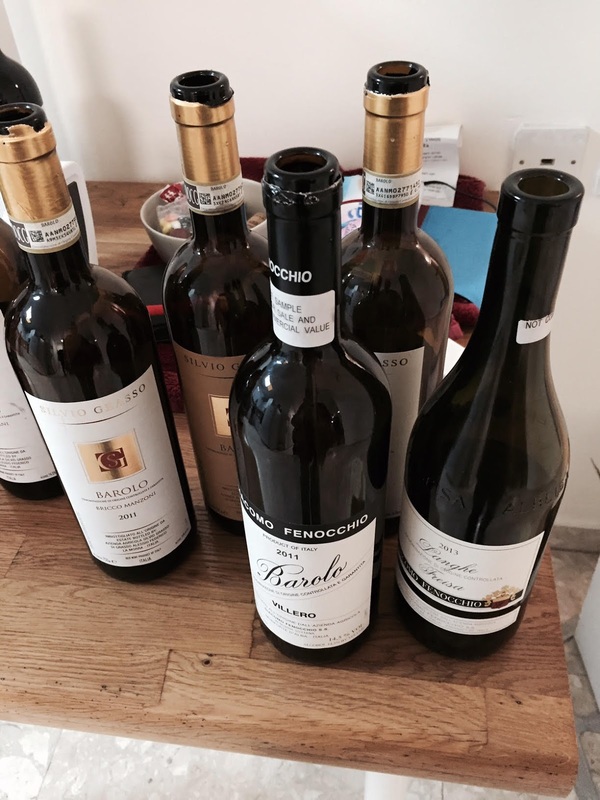 I'm especially looking forward to making the Fenocchio Barolo a house wine and stocking up on the Villero for long term cellaring. This offers dusty black cherries and is a little more serious than I'd expect from a Dolcetto, but still with an element of fun. A good bistro wine. A lively fresh white wine for early drinking, with a spicy, mineral laden bite. The first special wine of the evening. Cherries with the spicy/dusty/tarry signature of the area. A good alternative to Langhe Nebbiolo. A bedrock of spices, very impressive and simply alluring, savory with good acidity. A more modern wine, but not too much so, and not in any annoying way, and it shows enough typicality to please. And although the barrel is obvious, it is well placed. Greater purity, nuances and refinement. Lovely red fruit. Both this and the regular show typical Nebbiolo spiciness that still requires time to meld and absorb the remaining traces of oak. Terroir. This is blacker, arguably more modern, with hints of leather. 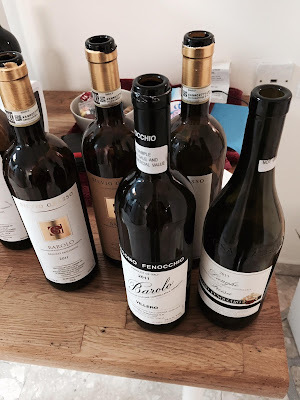 I think it's at the price point where I'd either go for the regular or for the Manzoni, but it's a worthy wine on its own right, albeit marred right now by oak and sweetness to a degree that the other two aren't. Old school, mineral laden. The best of the Grasso lot, that magically manages to hide its 15% ABV. Complex and nuanced, with detailed layers of minerals and leather. The embryo of a great wine. Still vaguely formed compared to the Villero, and even though on paper it's the higher ranked wine, I think it will develop only to the point where it will hover at slightly below the level of Villero. Hi - any word on price or if Eldad is selling those already? The Dolcetto is a house wine at Yaffo Tel Aviv, no news about the rest.